The economic impact of downtime at data centers is the highest in the commercial sector. Therefore, the return on investment of predictive maintenance activities, especially infrared, is excellent. These information technology customers want extreme reliability of the equipment, what they call “availability”. In the last year or so, they have become interested in more efficient cooling of the server racks, so that more servers can be operated per square foot of floor space at the centers. This paper outlines a systematic approach of utilizing infrared thermography to check many different aspects of computer center operations. Downtime in these facilities is not an option. Infrared thermography is being utilized for regular electrical switchgear surveys, optimizing of cooling systems and servers, and commissioning of all electrical equipment, including UPS modules, PDU (power distribution unit) equipment and computer servers. Many construction project specifications have infrared surveys as a requirement before the building is turned over to the owner. 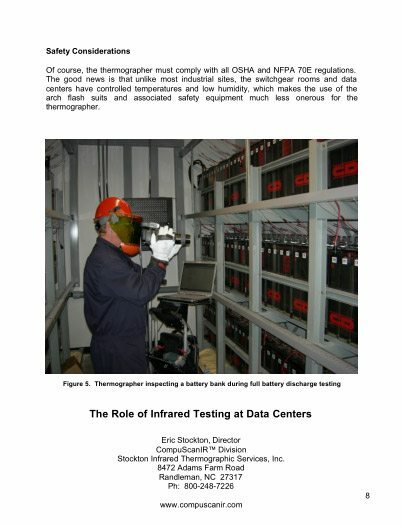 Data center infrared thermography must have total accountability for all infrared data in the commissioning process, regardless of whether or not there are problems. This accountability can be achieved by documenting all equipment inspected with time, date, location, and equipment condition. The thermographer must create a data log and record the infrared video onto a digital storage device of some type. New technologies in data acquisition and report preparation will make historical data available for comparison. This will enable the thermographer to more closely compare circuit boards and other UPS equipment with previously acquired images. If something fails or causes downtime in the system, an IR image of that component may be referenced to document that the equipment was operational, at thermal steady-state and in acceptable condition when the survey was made. I like your idea to give technical knowledge . 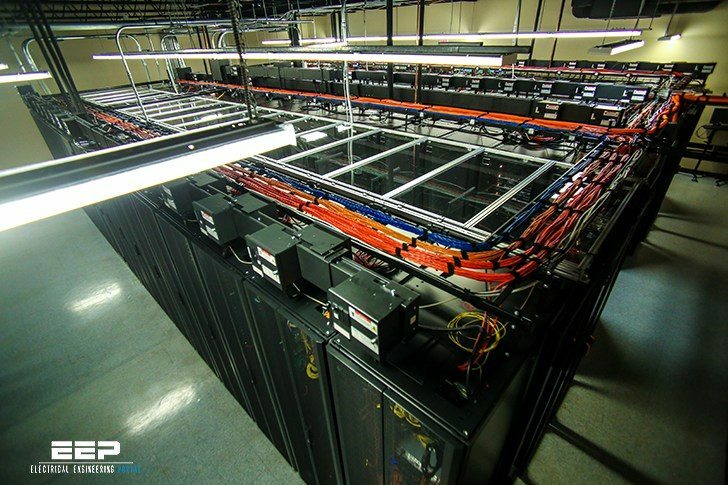 I can’t think of a better way to improve electrical cooling at data centers than using infrared technology. You don’t have to shut anything off and you will see exactly where you need improvements to the cooling system. How often do these thermal tests normally happen?